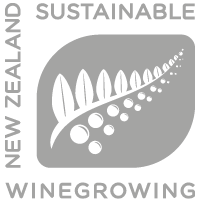 Like the uncurling Koru design on our label, perpetually growing yet always curving back towards its source, Rongopai wines look both forwards and back. As one of New Zealand’s oldest wine brands, standing for creativity and consistency since 1932, the Rongopai story is one of passion, innovation and excellence. The fern frond shape of the Koru is a symbol of creation. And the name Rongopai means “good taste and good feeling” in the Māori language. That’s what we seek to create with every vintage. Good taste, good feeling and a reflection of the vibrant and colourful landscape of New Zealand in which we plant our vines. The roots of the Rongopai wine story are intertwined with the history of New Zealand’s wine industry. It is a story of the winemaker’s art and pioneering science. It begins in the small, picturesque North Island town of Te Kauwhata, in a building constructed by the New Zealand government in 1902. It’s purpose? To be the country’s first viticultural research station. Here, a pioneering researcher named Romeo Bragato sought to unlock the secrets of the New Zealand soil. His goal? To establish grape varietals that would thrive in the local climate. 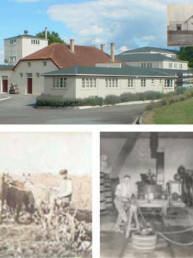 Romeo’s groundbreaking endeavours were in the past when the building first saw service as the Rongopai winery. But from 1932 to 2007, as our artful winemakers sought to create “good taste and good feeling”, his pioneering spirit infused their work. And the results speaks for themselves – the Rongopai name is one of the most cherished and celebrated in New Zealand. The building has undergone extensive restorations, renovations and modern upgrades in its time. While we have moved the winery elsewhere, the Te Kauwhata building is a protected historic site and will stand for many years to come. The Marlborough Sauvignon Blanc 2015 is immediately appealing on the nose displaying grapefruit, peach, feijoa and herbaceous characters, followed by a lively palate that is pristine and flavoursome. Classically expressed and very appealing. The Marlborough Pinot Noir 2014 is a nicely expressed pinot, the bouquet shows red/black cherry, floral, mixed spice and a hint of earthy mushroom complexity. The palate is ripe, rounded and silky, and offers appealing fruit flavours as well as savoury undertones. The Marlborough Pinot Gris 2015 is ripe and elegantly fragrant on the nose displaying baked apple, pear, floral and subtle spice characters. The palate delivers gentle fruit weight and smooth texture, leading to a long, juicy finish. It is very easy on the palate and makes a lovely everyday wine. Want to learn more about Ronogopai Wines? Today, Rongopai’s established strategic relationships with growers throughout New Zealand continues, ensuring the best wines possible are produced from any given vintage, and to give a broad selection and diverse resource for the Rongopai brand. In 2007, Babich Wines Ltd took over the Rongopai Wines brand, moving the winemaking to the Henderson site in West Auckland.